With its 2017 debut, Silver Muse became Silversea's flagship cruise vessel; with 596 passengers, it's the biggest in the fleet and provides a blueprint for how the Italian luxury cruise line plans to evolve. With a monochromatic yet elegant color palette in brown, tan, beige and cream, Silver Muse personifies a "European luxury," which whispers rather than screams. And you'll see the same materials -- rich fabrics and gleaming marble -- used in your suite as you'll find in many of the lounges and restaurants. It's beautiful in its simplicity. Silver Muse feels like a hotel, but in the right ways. It has a lovely central staircase that features two winding sets of stairs all the way from bottom to top, and wide corridors (though we wish there were more art along the hallways). The decor has a strong point of view in that it's so simple. You won't find anything that makes you stop and say, "Wow! ", but you'll just genuinely appreciate that everything is comfortable and quietly elegant. Suites onboard are a highlight, with even the smallest measuring almost 400 square feet, counting the veranda. All suites have lots of things the modern traveler loves: plenty of storage, gorgeous walk-in closets, more outlets than you need and high-end touches like ultra-high thread count sheets and towels. Cabins are personal, quiet and comfortable. The pool area, too, is a big win. We love the long, wide pool, with space to lounge. Throw in some really excellent casual fare – pizza, salads and burgers -- and it's idyllic for a sea day. 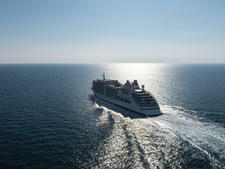 In fact, Silver Muse has lots of open outdoor space; the back of Decks 7, 8 and 9 all feature casual outdoor seating. Where Silver Muse comes up short is its spa, which feels cramped and lacks the luxury you will find in other spots on the ship. Its tiny (for-fee) thermal spa along with the narrow changing rooms, are a turnoff and don't appeal to those looking for a little relaxation. While there's a good selection of spa treatments, there's no incentive to want to spend more time in the spa complex. The fitness center, too, feels cramped and on our voyage, people often had to wait for only four treadmills. 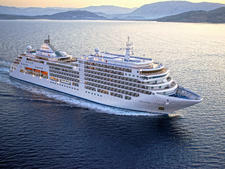 Silversea put a whopping eight restaurants on Silver Muse, eschewing the traditional main dining room. It's a controversial change that has gone through some tweaks since the ship launched. Originally, all dining was made by reservation, but the line changed Atlantide and Indochine to open seating due to passenger demand. (Dropped, too, was the concept of a dress code attached to each restaurant; attire for evenings is now standardized.) We found food in both venues to be outstanding; on this ship, it's some of the specialty restaurants that don't live up to their billing or extra fees. 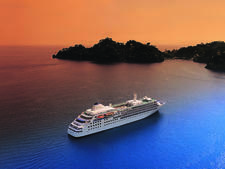 Still, passengers who are looking for the outstanding service that's a hallmark of luxury cruising will be pleased on Silver Muse. Butlers take care of your reservations and appointments, wait staff learn your wine preferences, pool attendants suggest drinks and clean your sunglasses. Although it's larger than other Silversea vessels, Silver Muse still feels refined and relaxed -- and so will you during your voyage. 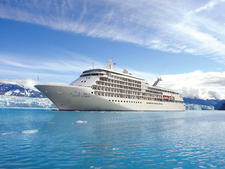 Passengers on Silver Muse are generally in the baby boomer category, which Silversea unabashedly targets. Expect fellow cruisers to be 55 and older. 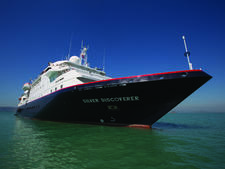 Silver Muse draws an international crowd, particularly on more exotic and longer voyages; while the majority may be from the United States, you'll encounter Brits, Aussies, Europeans and South Americans as well. No matter their nationality, passengers are well traveled, affluent, curious and friendly. Children 6 months and older are permitted to sail, but you won't find many kids onboard. You'll see more children -- often traveling with grandparents and parents -- on shorter sailings and during the holidays and over summer. Cruise Critic’s professional photographers and our extraordinary community members have taken 1,125 pictures of Silversea Silver Muse. When you visit our photo galleries, you can be assured that what you see is what you get. 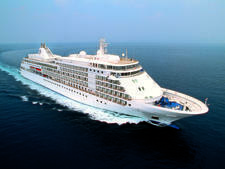 Silver Muse follows a casual dress code during the day, when passengers wear comfortable and weather/activity-appropriate clothing. Shorts, jeans and T-shirts are common around the ship and in port. Swimwear is de rigeur poolside, though not indoors. No jeans, shorts or flip flops are permitted in indoor venues after 6 p.m.
After 6 p.m., the ship has a dress code that changes daily: casual, informal or formal. Casual means women wear pants, blouses, skirts or casual dresses, while men wear open-neck shirts and slacks. Informal is still dressy on Silver Muse; women usually wear nice dresses or pants and blouses, and men wear dress shirts and slacks, often topped with jackets (though no tie). Formal night brings out evening or cocktail attire for women, while men wear suits or dinner jackets with ties; you'll see a few tuxedos. 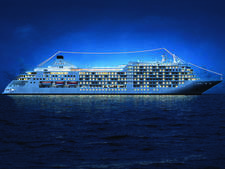 Cruises on Silver Muse include most meals (except for those in Kaiseki and La Dame), drinks (excluding beverages from the high-end Connoisseurs List), room service, gratuities, butler service and self-service laundry. Passengers in lower-level cabins get one hour of complimentary Wi-Fi each day; passengers in Silver Suites and beyond receive unlimited internet. 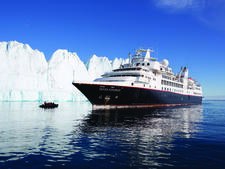 Shore excursions are not included, though Silversea provides a complimentary shuttle to the center of the cities Silver Muse visits. Spa treatments and fitness training are not included, either; laundry and dry cleaning services are only included for top-suite passengers. The onboard currency is the U.S. dollar. 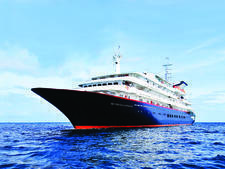 For passengers who book Grand Voyage/long World Cruise trips, the ship puts on complimentary special events, such as a visit to a Carnival samba club in Rio; other treats such as Silversea swag often show up in the cabin. 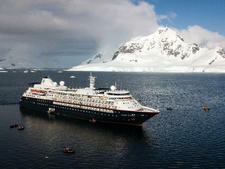 Many of these longer trips also include value-adds such as onboard credit and free internet.